PEORIA HEIGHTS – Kathryn A. Favorite, 79, of Peoria Heights, died at 3:26 a.m. on Tuesday, April 9, 2019, at OSF Richard L. Owens Hospice Home in Peoria surrounded by family. Kathryn was born on April 8, 1940, in Peoria to Martin and Kathryn (Stevenson) Modendricker. She married Robert F. Favorite on December 6, 1960, in Peoria. Kathryn is survived by her husband, Robert; her son, Scott (Shari) Favorite; her daughter, Laura Favorite; her sisters, Mary Ann Bone, and Jan Geber; her grandchildren, Shane Favorite and Kari (Cory) Gerarden; and 2 great-grandchildren. 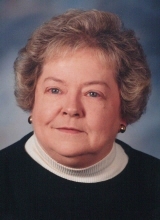 Kathryn worked for the Richwoods Township as a tax collector and was involved with the Women’s Auxiliary Peoria Heights Fire Department. She was a member of Peoria Heights Congregational Church. Kathryn was a devoted wife and mother, who was deeply loved and will be dearly missed. The family would like to extend a special thank you to Greg Walters and the Peoria Heights Fire Department, the OSF Richard L. Owens Hospice Home nursing staff, and OSF Homecare who have provided special care for Kathryn’s comfort. Cremation rites have been accorded. A private memorial service will be held for Kathryn. In lieu of flowers, memorials may be made to the Peoria Heights Fire Department. "Email Address" would like to share the life celebration of Kathryn A. Favorite. Click on the "link" to go to share a favorite memory or leave a condolence message for the family.